MA ’78, P ’06), director of the Wake Forest Scholars Program and chair of Words Awake!, for his top pick, too. 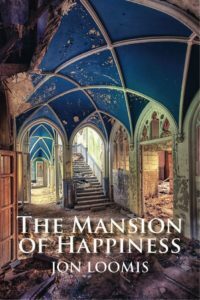 A favorite of mine is “The Mansion of Happiness,” a book of poetry by Jon Loomis (Oberlin College Press, 2016). It’s a slim paperback you can take anywhere. Loomis’ poems will knock you down. My favorite is “At the Diamond School of Dance.” I heard it on the radio, then I rushed out and bought the whole collection. I don’t know how many times I have re-read this poem and always find something in it. Loomis teaches English and creative writing at the University of Wisconsin, Eau Claire. His publisher says these poems are “rueful, tender visions of the Apocalypse as seen from the Midwest,” but they are so much more than this. They are visions of the soul’s apocalypse as seen while waiting for a child or at the dinner table. All together, Loomis has written three books of poetry. Start with this one. Thomas spent more than two decades with The New York Times as a reporter, editor, foreign correspondent and bureau chief. She also has taught journalism at Syracuse University and the University of Illinois at Urbana Champaign. I’m still working on my next book, which will be about espionage during the Civil War, so even my pleasure reading tends to be from that era. After Colson Whitehead’s “The Underground Railroad” (a superb novel that I had been meaning to get to ever since its release in 2016), I turned to “Barracoon: “The Story of the Last ‘Black Cargo,’” just published by Amistad. 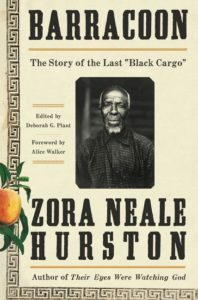 Written by novelist Zora Neale Hurston in 1931 and edited by African studies scholar Deborah G. Plant eight decades later, Barracoon tells the poignant story of Cudjo Lewis, a survivor of the despicable Clotilda, the last slave ship to cross the Atlantic and illegally deposit 110 West Africans on Alabama’s coast in 1860. (The U.S. outlawed African slave trade in 1808.) Hurston began interviewing 86-year-old Lewis in 1927 but could not find a publisher after completing her book. A former correspondent for Time and Newsweek, Waller’s most recent book is “Disciples: The World War II Missions of the CIA Directors Who Fought for Wild Bill Donovan.” His next book for Simon & Schuster will be on Abraham Lincoln’s spies. Waller lives in Raleigh, North Carolina. He was profiled by Wake Forest Magazine in 2015. Teter is editor of the Hub City Press, which publishes new voices from the American South, and founder of the Hub City Bookshop in Spartanburg, South Carolina. She was featured in the summer 2016 Wake Forest Magazine. Here’s a fine novel with Wake Forest in it, and many of the novel’s themes also run through Wake Forest’s history. 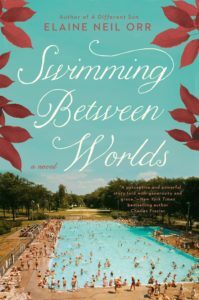 But you don’t need an extra incentive to read Elaine Neil Orr’s “Swimming Between Worlds.” It’s a good story, beautifully told. The time is 1959-1960, and the settings are West Africa and Winston-Salem. Tacker Hart, a Winston-Salem native who’s just graduated with honors from architecture school at N.C. State, goes to Nigeria to help design a new school, but he’s sent home in disgrace after the leaders of the corporation he’s working with decide he’s become too intimate with the natives. Back in Winston-Salem, aimless and confused, he finds that his eyes have been opened to the racial inequalities all around him. Tacker befriends a young black man who draws him into activism. The two are there on the February day when Wake Forest and Winston-Salem State students are arrested for staging a sit-in at a downtown lunch counter. 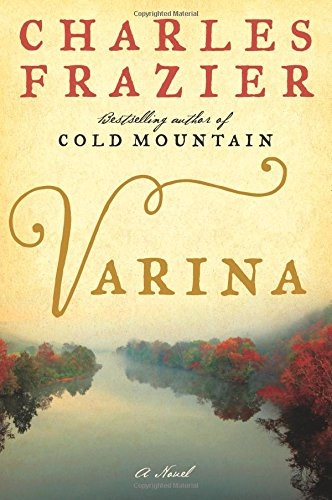 This powerful, moving novel also has much else to offer; it’s a love story as well as a historical novel about the 1960s social upheavals in Winston-Salem and beyond. Orr was able to interview George Williamson (’61), one of the students arrested at the 1960 sit-in, as she researched her book. She deftly weaves the history and its lessons into a compelling story. 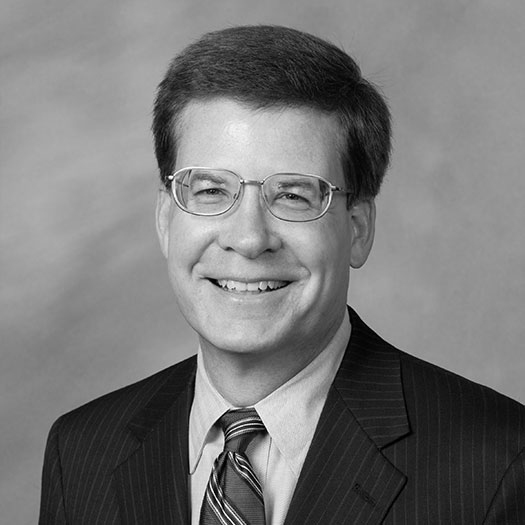 Brinson lives in Currituck County, North Carolina, and is a retired book-page editor and editorial page editor at the Winston-Salem Journal. She continues to write book reviews at Briar Patch Books. She also writes book reviews and features for the Greensboro News & Record and is a contributor to the editorial page of the Norfolk Virginian-Pilot. 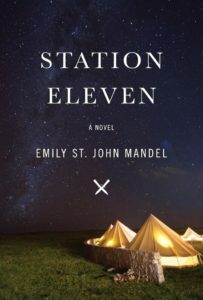 Canadian writer Emily St. John Mandel offers, in her fourth and powerful novel, “Station Eleven,” an intentionally “literary” take on dystopian life. Something biological and dark is at work in the world, soon to include Toronto. Its aftermath retrofits society as off grid, requiring much grit. In the new settlements that emerge (including, memorably, a city in an abandoned airport terminal) along the northern coast of Lake Erie, one thread weaves its way from place to place: a troupe of performers determined to keep drama and music before people whose sense of civility and culture is radically diminished. A part of the narrative shows through the sensibility of the survivor Kristen, one of the performers who now in her 20s begins to find eerie connections to her past, including her obsession with a famous actor and her fierce loyalty to a graphic novel (“Dr. Eleven”), a remnant of which she guards ferociously. A novel of high imagination, “Station Eleven” is original, entertaining, dark, at times complex, and beautiful. Mandel gives the dystopian convention new perspective and vigor. Phillips is director of the Wake Forest Scholars program and chair of Words Awake!